Funny expression. 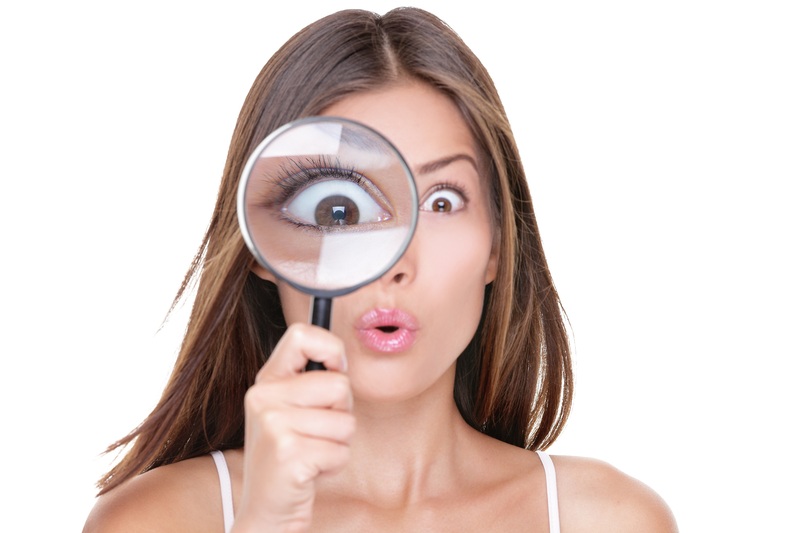 Shocked woman looking through a magnifying glass. Surprised Asian girl looking astonished discovering clues with big eyes through a magnifying glass, isolated on white background.